One of the most popular poker festival of Europe i.e. European Poker Tour grand Final attracted more than 300 entries for its main event. This particular event will be held at Monte Carlo Casino in association with PokerStars, The premier poker brand. The season#12 finale will see a lot of happenings. Top poker players, footballers, gamer and poker entertainers will be there in the house to win some cash. The 11 days long festival will take place at the Monte Carlo Bay Hotel & Resort. Top Canadian professional poker player like Daniel Negreanu with Brazilian footballer Ronaldo Nazario are among players participating in the tournament. 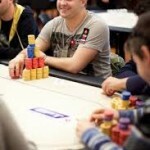 The tournament will kicks off on April 26 and will continue till May 6 with EPT High Roller. The first major event of this festival will be Single Re-Entry High Roller to which the buy in is €10,000 + €300, whereas the final event of EPT High Roller for a buy in €25,000 + €750 will take place on May 4 and will go till May 6. Last season’s EPT Final was won by Adrian Mateos, who then topped a field size of 564 to win a hugh €1,082,000 as first prize.